Whether you are a current or interested client, please feel free to use the contact form so that someone on our staff can address any questions, concerns or needs you may have. We are here to serve you and will do our best to respond to your inquiry as quickly and efficiently as possible. To get in touch, please send us a message. Enjoy dinner on us! Refer a friend or family member to us and we will buy you dinner! Here at MKR, we understand the value of relationships, and know that one of the best ways to find new clients is through recommendations from our existing clients. When that happens, we want to say “thank you” to those individuals. 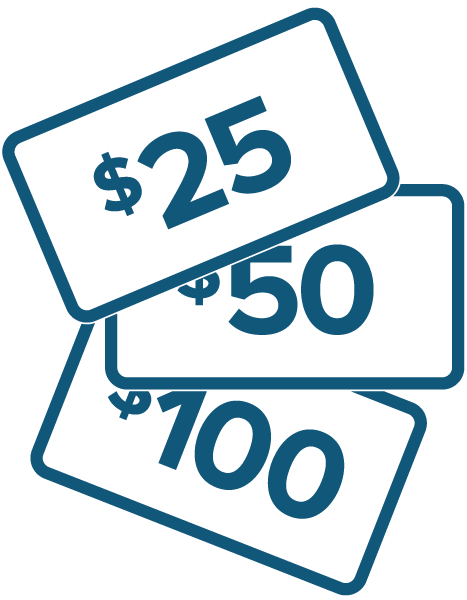 As a thank you, if you are a current client of ours, the first time you refer someone to us for tax or other accounting services, we will send you a $25 gift card to a restaurant in central Indiana. For any additional referrals, current clients will receive a $50 gift card. Furthermore, the client who provides the most referrals in one calendar year will receive a $100 gift card to Ruth’s Chris Steak House at the end of the year. In order to receive credit for the referral, please complete the form listed below, or have them call us directly and provide your name. We are grateful for your business and appreciate any referrals you may provide!